Jeremy Bastian’s “The Battle of the Hawk’s Mouse and the Fox’s Mouse:” Mindblowingly detailed faux-etchings in colors of faded heraldry. Ted Naifeh’s “A Bargain in the Dark:” The storytelling could have been sharper, but Naifeh’s ink-heavy, swoopingly angular style (which I’d seen before via his collaborations with Caitlín Kiernan and Holly Black) stands out here from the more traditional illustrations in most of the rest of the collection. 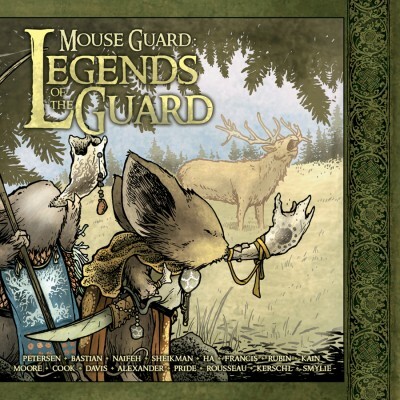 And they couldn’t be more perfectly suited to Darkheather’s subterranean vaults, where his story of a wary alliance between a mouse and a bat takes place . 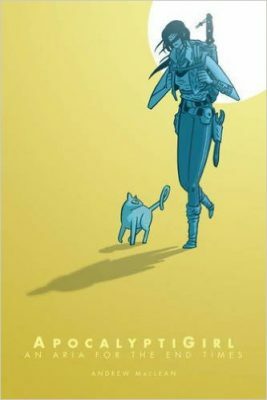 Gene Ha & Lowell Francis’ “Worley and the Mink:” Possibly my all-around favorite, for the combination of good humor, rich art and excellent action sequences. 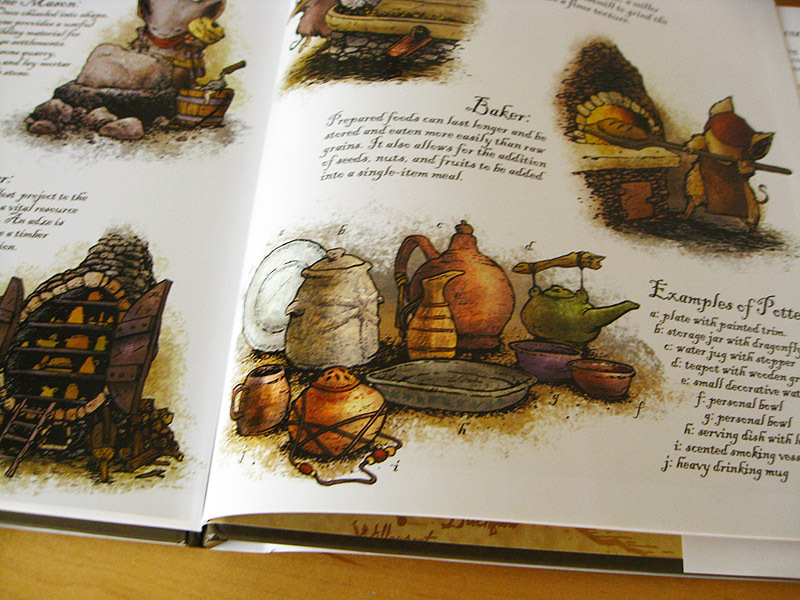 A tubby, bespectacled banker-mouse outwits both a tribe of hostile mice and a voracious mink. Guy Davis’ wry & wordless “The Critic,” in which a warrior takes too much inspiration from an artist’s rendering of derring-do. 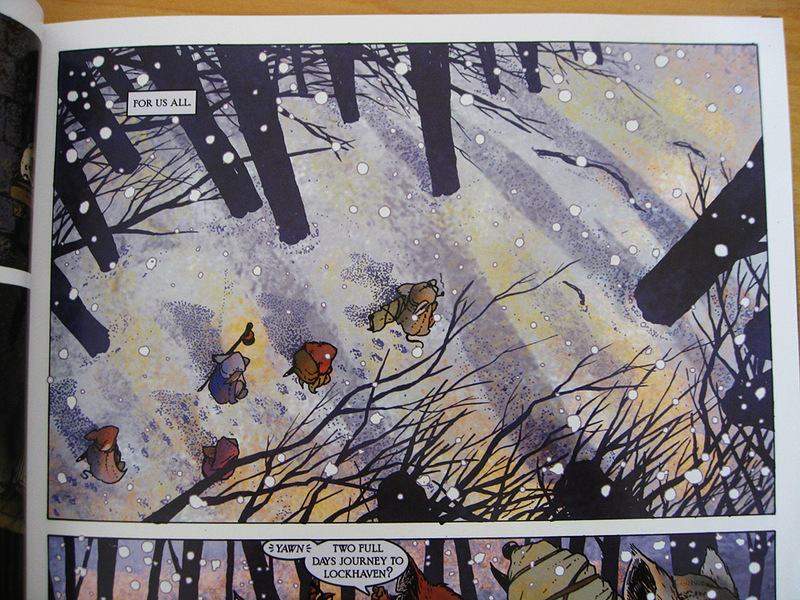 The sweeping tundra scenes of Karl Kerschl’s “Bowen’s Tale” (also wordless), which wonderfully convey the immensity and severe beauty of the arctic from a mouse-sized perspective. 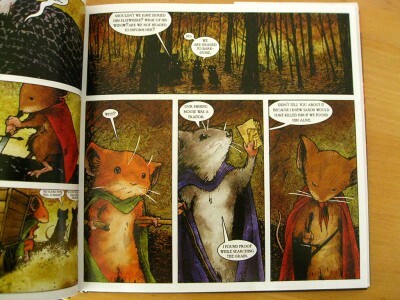 Petersen provides the framing story, of customers at an inn competing in a tale-telling contest to cancel their bar tabs, the totally epic cover of horn-blowing mice (my favorite Mouse Guard cover so far), and some equally epic spreads of other legendary mouse exploits, which appear in-universe as paintings on the inn’s walls. 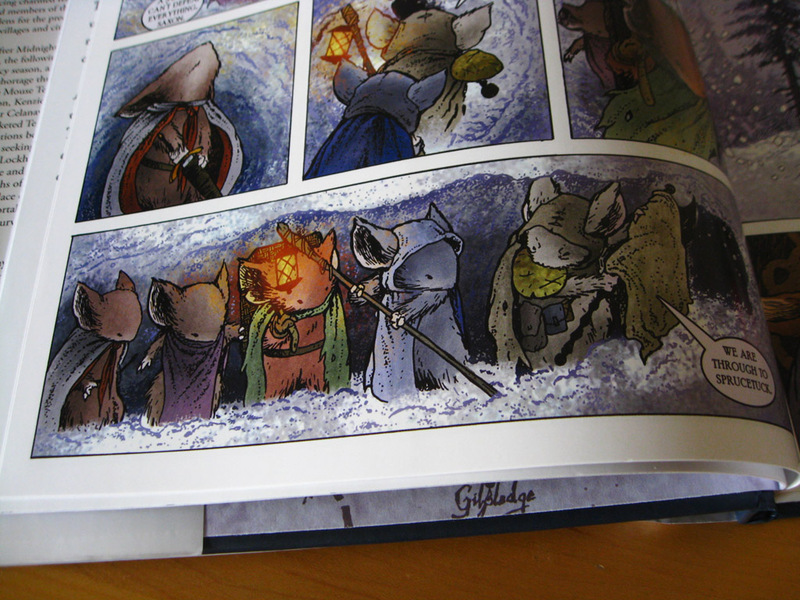 As Kakaner assured me, Mouse Guard vol. 2 has much more emotional meat on its bones than did the first arc. Reading this volume, it’s clear that Fall 1152 was just a taster; here our sense of the Guard’s mythology and traditions is deepened, and the worldbuilding continues apace, both within the comic and in the (again) adorable and obsessively detailed appendices. Also, I underwent a weird little cognitive tweak reading this volume. During the first I’d felt I just couldn’t get the characters, and tenatively chalked it up to the dialogue being a bit stilted. 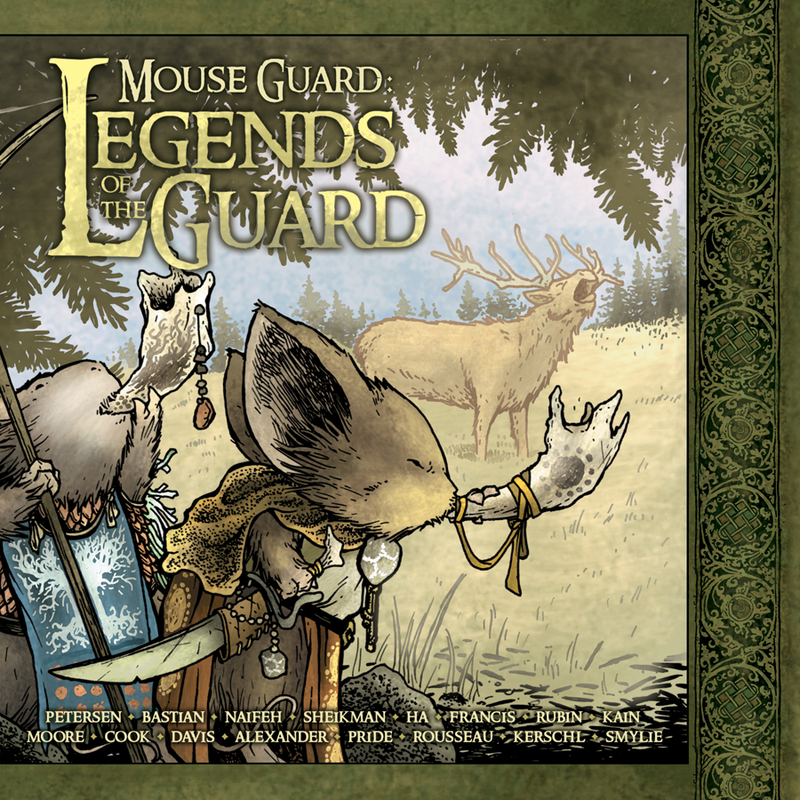 This time around I realized that it’s also that the mice generally only have two facial expressions: peering intently, or squinting determinedly. And once I realized that, I was fine with it; it’s like I’d placated an otherwise expectant emotional processing circuit. Conclusion: Brains are weird. Have some more cute mice. 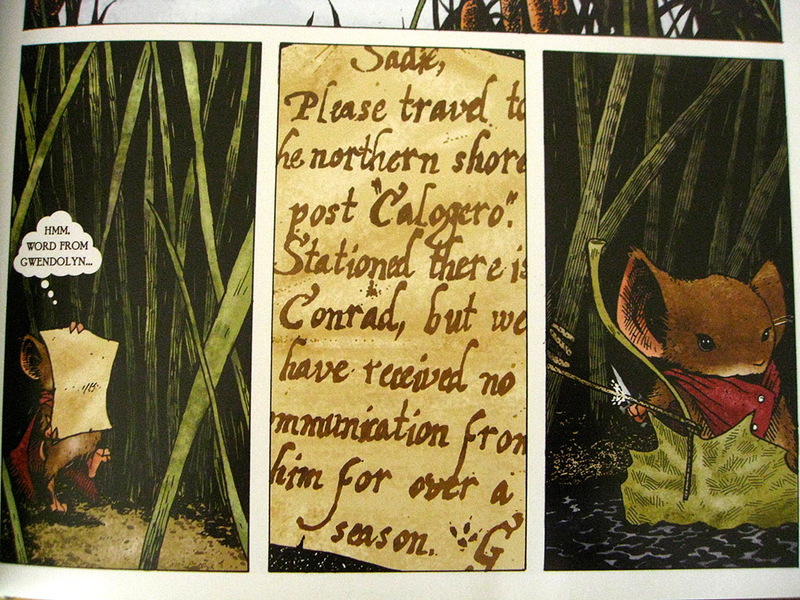 In an obvious progression from my childhood love for Redwall, I’d been longing to read Mouse Guard for ages ever since I spotted its cover in a bookstore a few years back; Kakaner obliged me last week by thrusting the first two volumes into my hands. While the story is pretty much a throwaway (Petersen could really use an editor for grammar alone), the comic works purely on the basis of visuals and concepts. 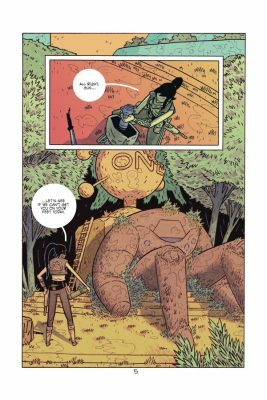 Petersen’s figures aren’t very dynamic, but his panels are often beautifully composed, and his pairing of liberal hatching and stippling with a rich, autumnal palette creates delicious texture and depth. The climactic battle that spans the last chapter – heralded by a shift in the palette first to moody plum shades, then to an eerie, luminous red – is surprisingly dark and gritty; again the visuals are successful in generating drama and atmosphere despite lackluster storytelling. And let’s be honest here: it’s SO. CUTE. 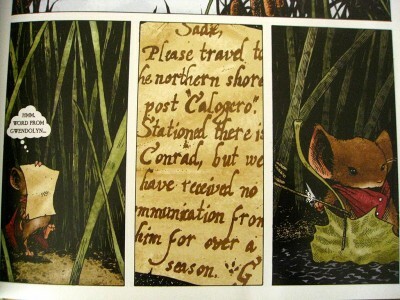 Oh my god big-headed mice in cloaks. Oh my god tiny glassblower blowing tiny bottles. Oh my god tiny castle masonry and kilns and inkwells and… you get the idea.The scenes of everyday life in Barkstone, the town where the central trio uncover the anti-Guard conspiracy, and Lockhaven, the Guard’s fortified headquarters, pretty much had me spasming with glee; equally so the faux-historical tidbits and diagrams on mouse trades and settlements included at the end of the book. Thanks for the conniptions, Petersen! I look forward to more in volume 2: Winter 1152. 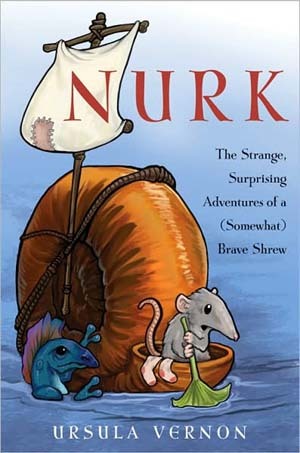 Nurk, a timid but sensible shrew, one day receives an urgent letter addressed to his famous grandmother Surka, the warrior, pirate queen, and general adventurer. Unfortunately, no one has seen Surka for seasons, and so Nurk packs Surka’s diary and some clean socks into his trusty snailboat, and heads off in search of adventure for the first time in his life. Dragonfly royalty in distress, perilous climes, and strange beasts aplenty await him. 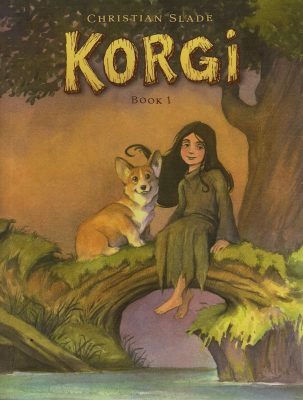 I’ve been a huge fan of Ursula Vernon for years now, both of her vibrant, wildly imaginative artwork – she created the cover and interior illustrations for Nurk, of course – and of her equally weird and hilarious life and writing, as seen in her blog. Though for an adult reader, the plot is rather unmemorable (predictable twists, there-and-back-again structure), the individual elements are sufficiently weird and entertaining to make it worth the read. I do wish I knew some young persons of an age to be suitably gifted with it. 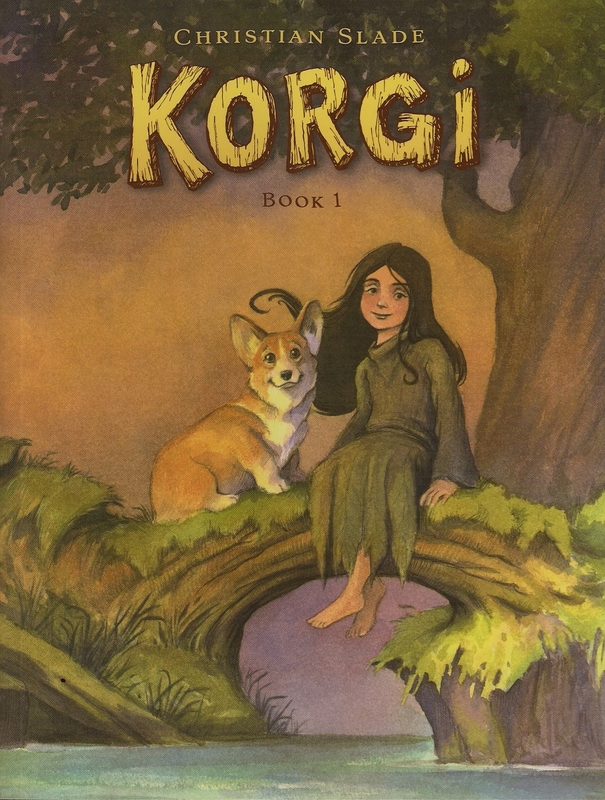 Well, in a couple of years some of my cousins will be thereabouts, and in the meantime, it’s a quick, fun, slightly twisted adventure for readers of any age.